Keep your home or business safe and wired properly with the Peace River Country electricians at FSJ Quality Electric. From new installations and renovations to service upgrades and repairs, we handle all types of electrical services for residential and commercial clients — we’re also authorized installers of Liberty Security Systems and solutions. With our team, you can count on competitive rates and prompt service from experienced technicians and electrical contractors who care about the quality of their work. 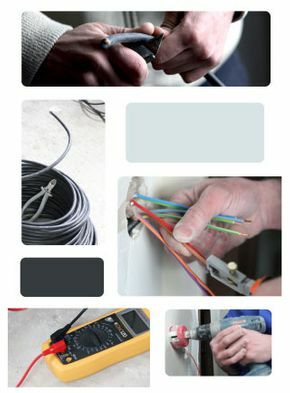 Whether you need electrical work for a new addition or you want to replace aluminum wiring to ensure safety, FSJ Quality Electric can handle the job. We are experienced with all types of electrical installations and upgrades, from ceiling fans and water heaters to wiring for your entire property. Our electrical contractors also enjoy saving customers money with energy-efficient solutions. FSJ Quality Electric provides quality, safety and efficiency on projects of all sizes and always stands behind our work. If you need service or an expert consultation for an upcoming job, give us a call today. FSJ Quality Electric is proud to be authorized installers of Liberty Security Systems. These systems are designed to protect Peace River Country homes, businesses, and seniors against the threat of fire, smoke, flooding, intrusion, and unauthorized access.